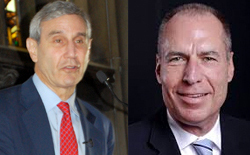 Edelman fired US president and CEO Mark Hass in July partly over his "stupid" response to a climate change organization's survey of PR firms, CEO Richard Edelman told Vice.com's Motherboard channel. Vice senior editor Brian Merchant, who penned an Aug. 5 piece critical of Edelman's work with the American Petroleum Institute regarding climate change, said Edelman called him at home to stress that the firm "recognizes the reality of climate change and accepts the science behind the claim." The crux of the episode was a survey and report by the Guardian and the Climate Investigations Center, a research organization led by Greenpeace vet Kert Davies, which queried large PR agencies about working with climate change deniers. Firms like Weber Shandwick, Waggener Edstrom and Finn Partners all said they would not accept such business. Edelman stood out in its response because it wouldn't rule out work for those that contest climate change science. "I do not believe we are obligated in any way to participate," said an email by Hass apparently intended for internal Edelman discussion that was sent to CIC. "There are no right answers for this guy." The firm's on-the-record response to the CIC survey also raised flags. “Expanding the dialogue in a constructive manner, and driving productive outcomes to solve energy challenges are the key criteria for evaluating client engagements,” Edelman spokesman Michael Bush told the Guardian, noting the firm takes clients on a case-by-case basis. Edelman told Merchant this week that Hass was bounced partly because of the episode. Edelman posted the firm's official position on climate change on his blog after Merchant's critical report on Aug. 7. "We fired the head of our US [division] in part because of that stupid note he wrote, about, you know, how we don't answer these kinds of things," Edelman told Merchant. The CEO of PR's largest firm said the firm's was misrepresented because of "the ham-head who filled out the questionnaire to be a little, uh, slick. And I don't like that." The firm previously said that Hass, former CEO of MSLGroup, was leaving after five years to pursue other interests.